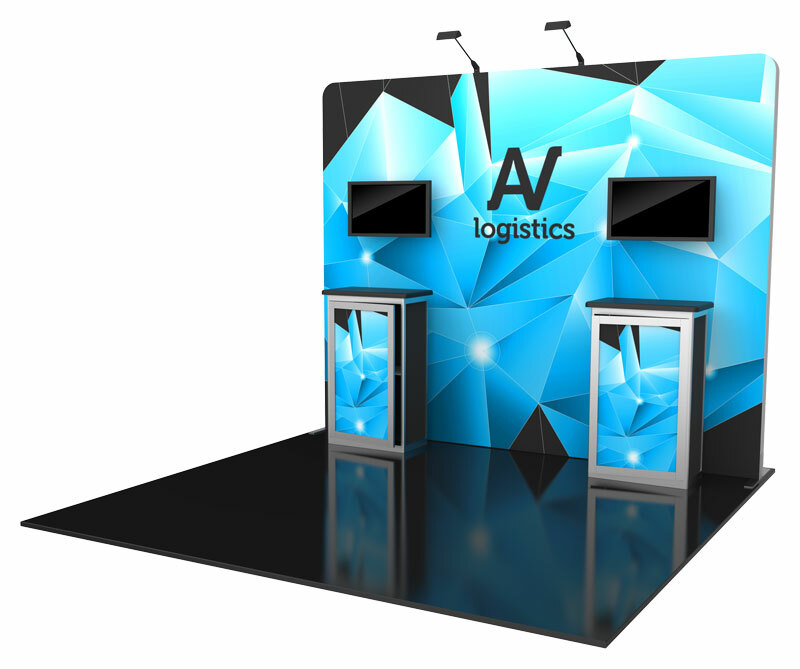 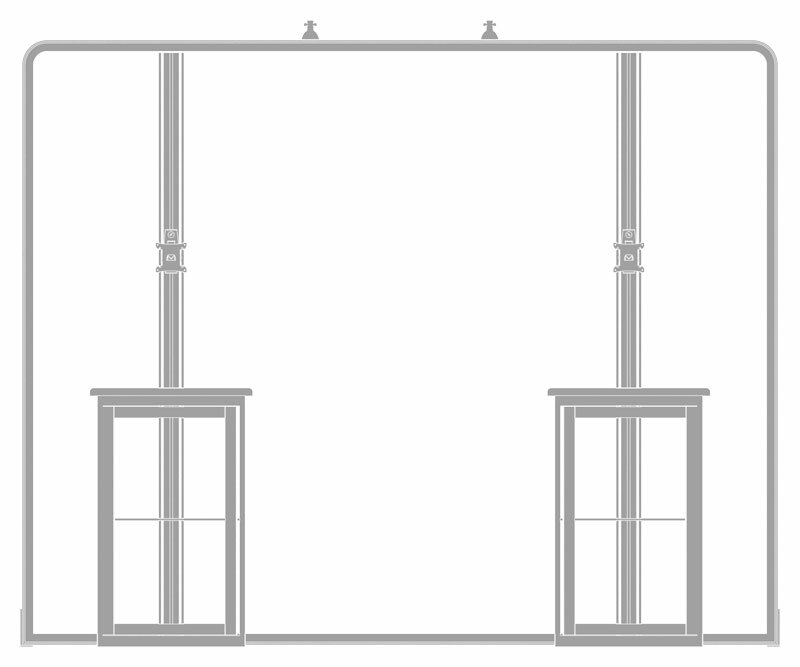 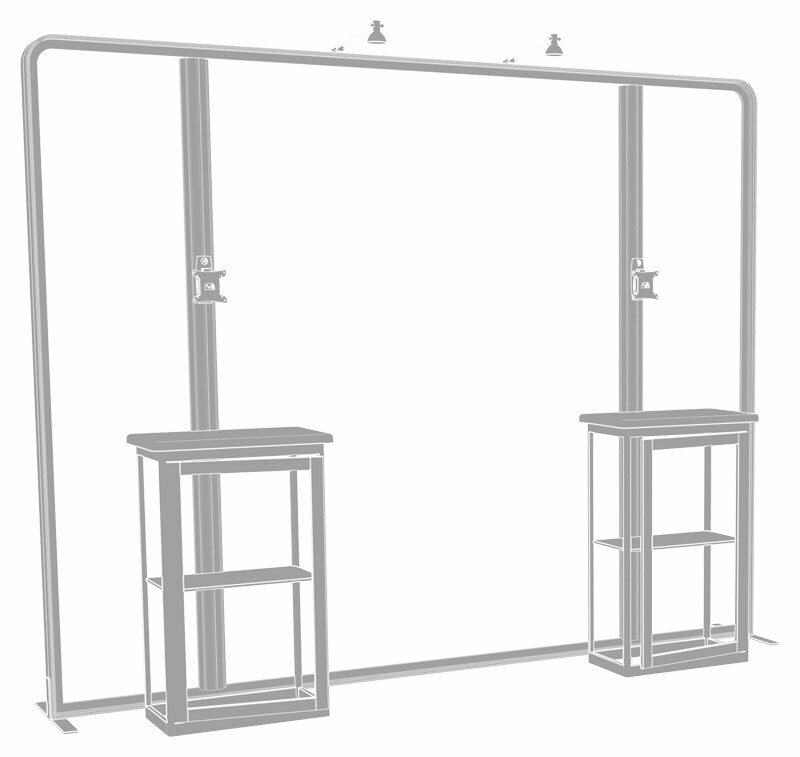 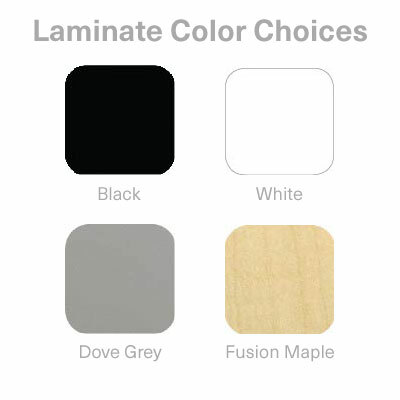 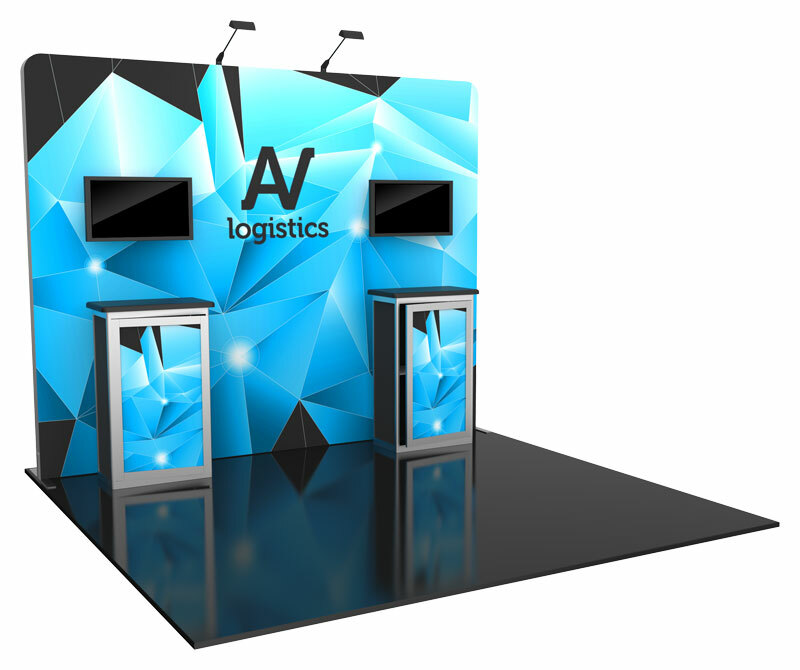 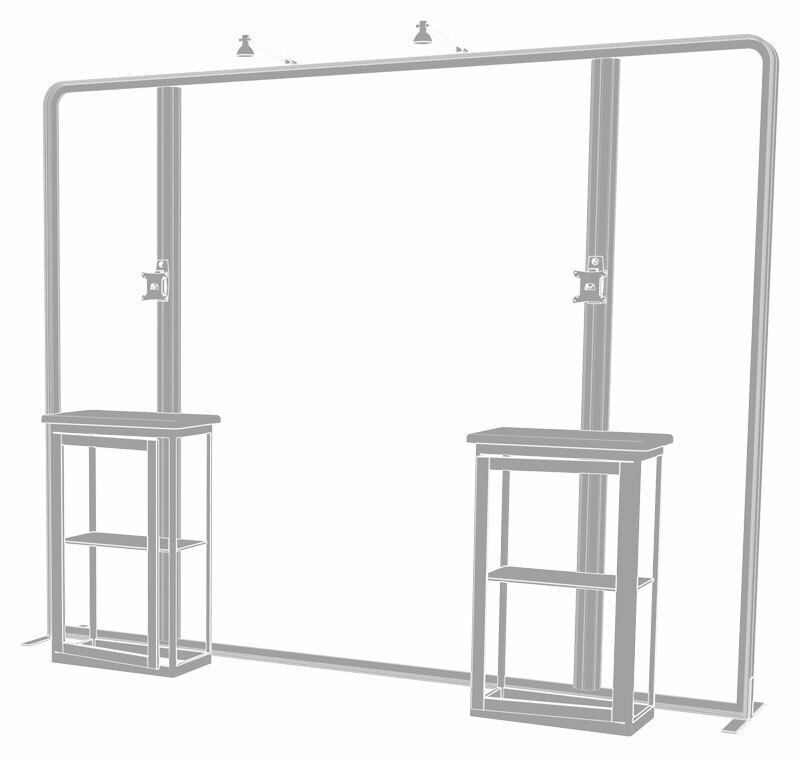 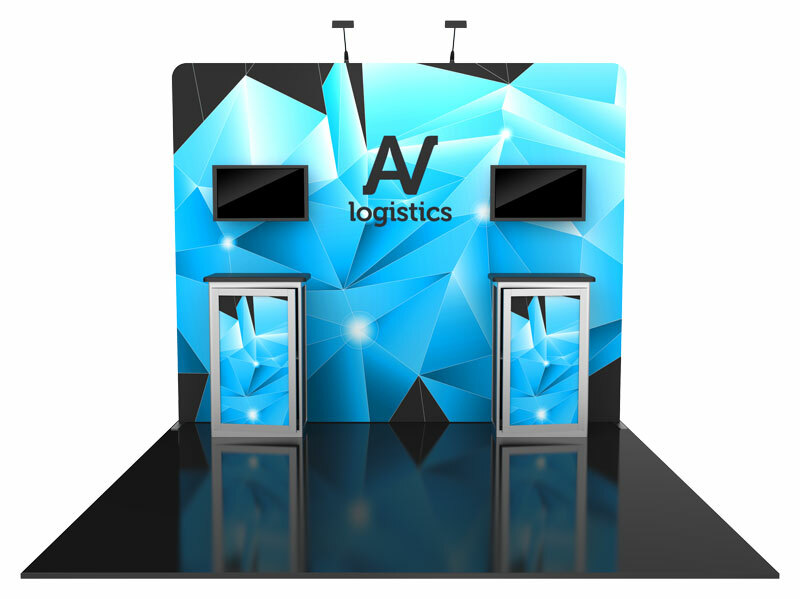 The Kit 06 is a backwall designed for a 10′ × 10′ trade show exhibit space. 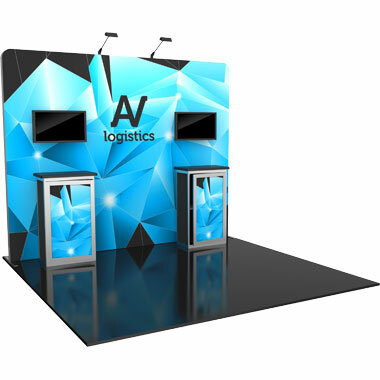 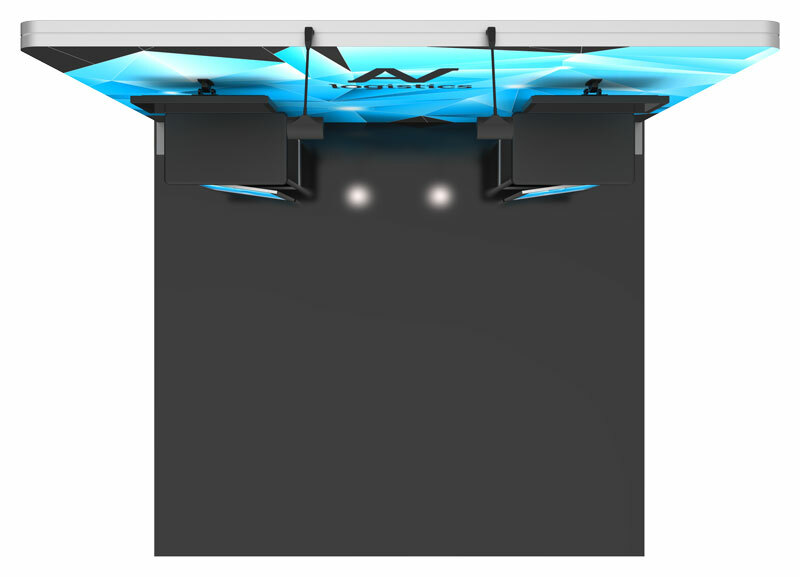 It includes an aluminum extrusion frame, one fabric graphic panel, two counters with graphics, two medium monitor mounts, two 200 LED floodlights, and three molded shipping cases. 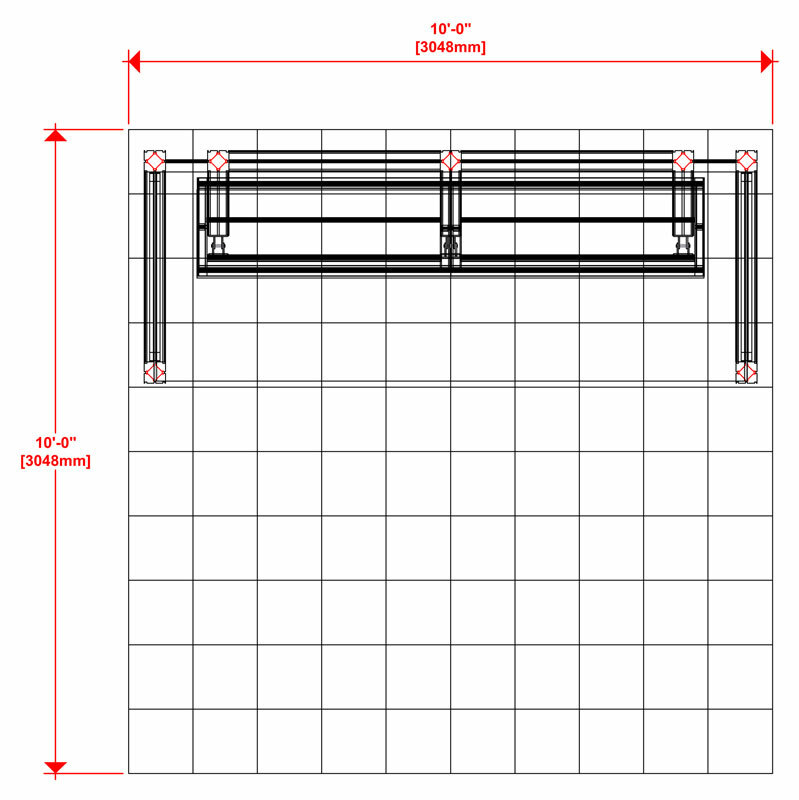 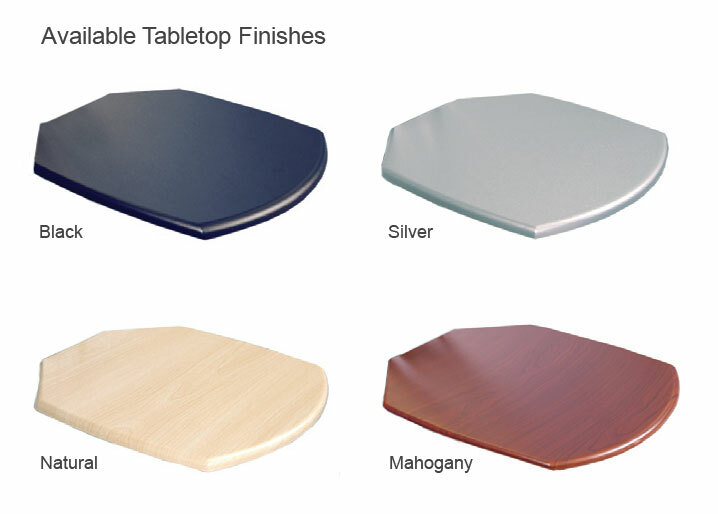 The flat shipping rate for this item is $395 USD for standard delivery within the continental United States.